Every time you open a paper, turn on the news or talk to someone on the street, it seems to me to be a whole lot of doom and gloom. People whinging about the state of the country, how bad they feel things are and how worried they are for the future. But really, are things that bad? 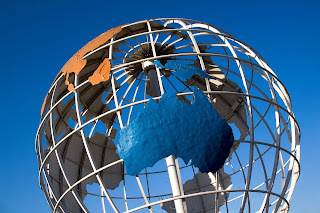 Australia has one of the most prosperous economies in the world, unemployment is low, interest rates are low. War, famine and suppression of free thought and speech are things that are foreign to our shores. What are we complaining about? Go and read the whole article, or read this excerpt below. 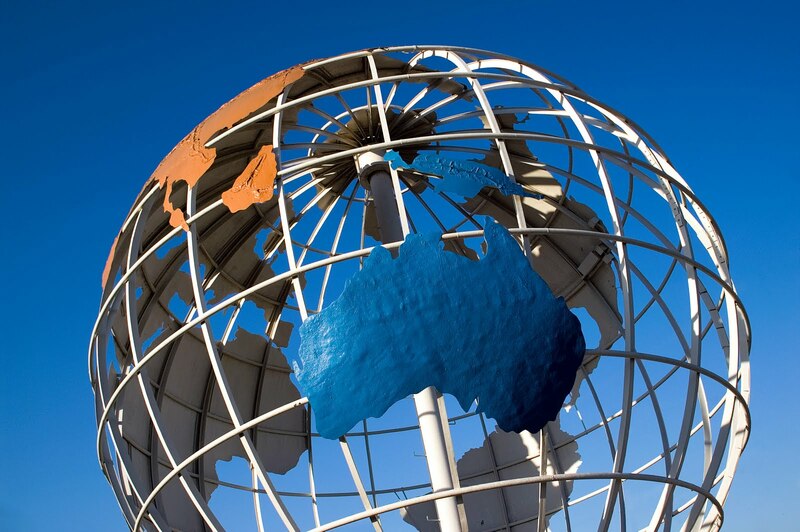 "Many Australians do not seem to appreciate that they live in an unusually successful country. Accustomed to unbroken economic expansion—many are too young to remember recession—they are inclined to complain about house prices, 5% unemployment or the problems that a high exchange rate causes manufacturing and several other industries. Some Australians talk big but actually think small, and politicians may be the worst offenders. They are often reluctant to get out in front in policymaking—on climate change, for instance—preferring to follow what bigger countries do. In the quest for a carbon policy, both the main parties have chopped and changed their minds, and their leaders, leaving voters divided and bemused. There can be little doubt that if America could come to a decision on the topic, Australia would soon follow suit. Its current political leaders, with notable exceptions, are perhaps the least impressive feature of today’s Australia. Just when their country has the chance to become influential in the world, they appear introverted and unable to see the big picture. Little legislation of consequence has been passed since 2003. A labour-market reform introduced by the Liberals was partly repealed by Labor. A proposed tax on the mining companies was badly mishandled (also by Labor), leading to a much feebler one. All attempts at a climate-change bill have failed. The prime minister, Labor’s Julia Gillard, admits she is unmoved by foreign policy. The leader of the opposition, Tony Abbott, takes his cue from America’s tea-party movement, by fighting a carbon tax with a “people’s revolt” in which little is heard apart from personal insults. Instead of pointing to the great benefits of immigration—population growth is responsible for about two-fifths of the increase in real GDP in the past 40 years—the two parties pander shamelessly to xenophobic fears about asylum-seekers washing up in boats. None of this will get Australians to take pride in their achievements and build on them. Better themes for politicians would be their plans to develop first-class universities, nourish the arts, promote urban design and stimulate new industries in anything from alternative energy to desalinating water. All these are under way, but few are surging ahead. Though the country’s best-known building is an opera house, for example, the arts have yet to receive as much official patronage as they deserve. However, the most useful policy to pursue would be education, especially tertiary education. Australia’s universities, like its wine, are decent and dependable, but seldom excellent. Yet educated workers are essential for an economy competitive in services as well as minerals. First, however, Aussies need a bit more self-belief. After that perhaps will come the zest and confidence of an Antipodean California." I don't agree with everything in this article, but I think there is some truth to it. We need to step up and look at the big picture more, take the lead rather than follow. Realise that we could be a world leader. What do you think? Is it time for us to realise what we've got, grow some self-belief, be brave and step out of the shadows? Or do we need to conserve and worry about the future? I think we worry because of what other countries have experienced. Things do seem good here in Australia and I am glad I like here. However, I think there are still many people who struggle to live day to day. We want it all and we want it now! I think there is defiantly people out there scare mongering and create more worry then is needed. I think Australians need to look at the big picture and see the glass is half full rather then half empty. We complain about things not bring good enough like the health system bit in reality I think we have it pretty good. Yes things need to be improved and we could handle things a lot better, but being grateful for what we do have would be a good start. I do worry that some of those taking charge of our country are way out of touch aswell but unless more every day people step up we will continue this cycle. Sorry for the spelling mistakes, damn iPhone changing my words! I think people on News.com.au would probably benefit from reading that article. The doom and gloom is tiresome, so over politicians fear-mongering and the media re-inforcing those messages.